Free legitimate work from home jobs really do exist. Right here I’m going to share the top 7 of them with you. While a lot of promising work from home jobs turn out to be internet scams, there are legitimate work from home jobs you can start today with no start up fees. The key is to tailor your specific skill set for them. All you need is access to the internet and your work ethic to be a success. Follow this guide to find the best work from home jobs you can pursue, what’s involved and how you can get started. The reward for working from home is the freedom to choose when you want to work and the quality of life that goes with that. OK let’s jump in – no hype, no scams, no start up fees – just legitimate work from home jobs you can start to earn money online today. Fiverr.com is the biggest online marketplace where people look for help with completing a variety of tasks. After spending a couple of minutes on Fiverr you’ll see people earn money completing all kinds of tasks from logo design, video intros, article writing and website programming. In practice and depending on the type of work you complete and the skill set required, you can get paid $10-$20 per gig. You could easily build up a regular list of clients by completing tasks in a timely manner, keeping good communication and building up a solid ratings score. Thousands of people work from full-time using Fiverr as the platform to become a professional freelancer. Website owners and mobile app developers are always looking to improve their visitors experience and they use sites like UserTesting.com to run tests and get valuable feedback. Website testers make a video of themselves completing a set of tasks on the site or app and speaking your thoughts aloud. Completely free to join, for each website you test will you earn $10 in return for around 15 minutes of your time. Website owners are always looking for fresh content and legit sites like Upwork.com step in connect them with good writers. Many clients are looking for to outsource their blog posts, eBooks, articles and build long-term relationships with good writers. The beauty of this kind of work from home opportunity is that you can choose what topics you want to write about and when you do it. are always looking for good writers to join their teams. The beauty of this is you get to choose what topics you want to write about and when you do it. It’s not just for writing either: if you have graphic design, customer service or web developing skills you can also build a loyal client list. You can choose whether to get paid per hour or per project and as your feedback ratings increase you can start to charge more for good work done. Another way to work from home is to start your own online tutoring business. Most tutoring firms want you to have a college degree or at least two years of completed study in the subject you wish to teach. But no previous experience of teaching is needed. There’s a test you take to check with subjects your suitable to teach online and a few background checks before you can start your online tutoring business. Sites like VIPKid and Tutor.com will deal with all of the marketing and match you with students based on your subject area(s) and schedule. Keep in mind that most of the teaching will be done in the afternoon or evening, when students are out of school. As the business world becomes more global, the need for online translators and interpreters has never been so high. Online translating work ranges from joining Skype conference calls to subtitling a movie, translating books or transcribing audio recordings. Take a look at free online translation jobs at places like Translatorscafe.com where jobs are posted daily. There’s also other online agencies like gengo.com and verbalizeit.com where you can apply for work that fits your schedule and fluency. Becoming an online translator means you could earn something in the range of $12 per hour or up to $40 per hour for technical or scientific work. If you have a creative flair, this work from home opportunity might be for you. It involves selling your original handcrafted creations online. Sites like ArtFire.com and Etsy.com are full of already successful online entrepreneurs who sell their handmade crafts to a global customer base who are willing to pay a good price. Popular items on Etsy include: knitting, crochet, quilting, painting, needlework and sculpting, glass work, metalwork, woodworking and greetings cards. You could open an online store and turn your craft or hobby into a legitimate full-time business. There’s hundreds of different products you could potentially sell depending on what your skill area is. Not to be confused with our 3rd way to work from home by getting paid to write articles online, here I’m talking about making money by writing your own blog. Online entrepreneur training courses like WealthyAffiliate.com teach people (for free) how to become professional full-time bloggers. They show people how to start blogs, create useful and helpful content, attract readers and monetise those blogs to earn a full-time income. People make a living working from home by blogging about food, fashion, fitness, caring for pets, snowboarding, home brewing… anything you can think of. The great think about blogging as a way to work from home is that you can build a blogging business based on any topic or interest you’re passionate about. Bloggers typically start earning money after 3 to 6 months of blogging so it’s not a short-term fix, though once your blog is generating an income you get paid for the work you do not just once, but many times over for years to come. You could pick any of these work from home jobs and get started today with no money required. The only investment is your time, energy and determination to see it through and become a success. The first step is the most important so don’t wait until tomorrow to start taking action to make your dreams of working from home a reality. I turned my passion into a full-time online business and you can too! This is a very solid post. I have been subject to most of those make money scams, but I have just gone through your seven list and I registered for the seventh (Wealthy Affiliate). So far, I have been able to build my website and already posted a few blogs .. this looks very promising.. Thanks for an amazing review. It’s great to hear you’re taking advantage of the free Starter membership Solomon. Sounds like you’re making great process so far! Keep going – you got this! 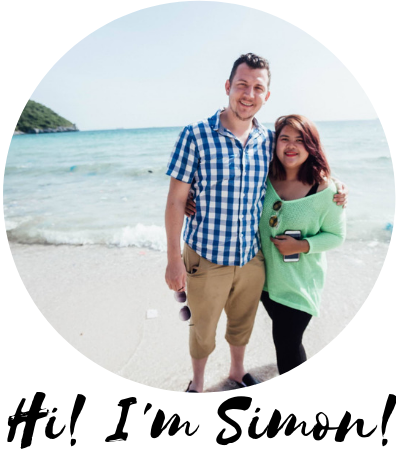 Simon, I think you are awesome! Thank you for taking the time to map out all of this information and share with everyone. That was very thoughtful! You Rock! I stumbled opon this post, mostly because I’m seriously considering transitioning away from retail (burnt out) to something more fulfilling and enjoyable. I’ve done a lot fo different jobs but I would love to start working from home and your ideas have sold me on this, I still haven’t decided exactly what I’ll be doing but this is a great start.